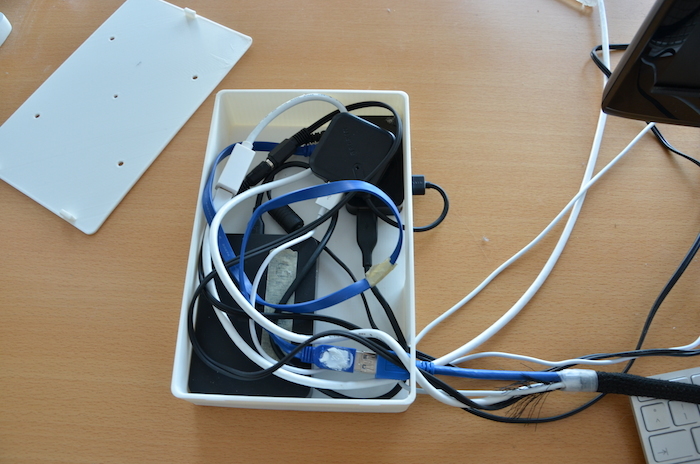 If you are like me and use your notebook as your main computer, you may be as annoyed as I was with having cables lying all over your desk as well as with having to plug in or unplug all those cables every time you want to take your notebook with you. 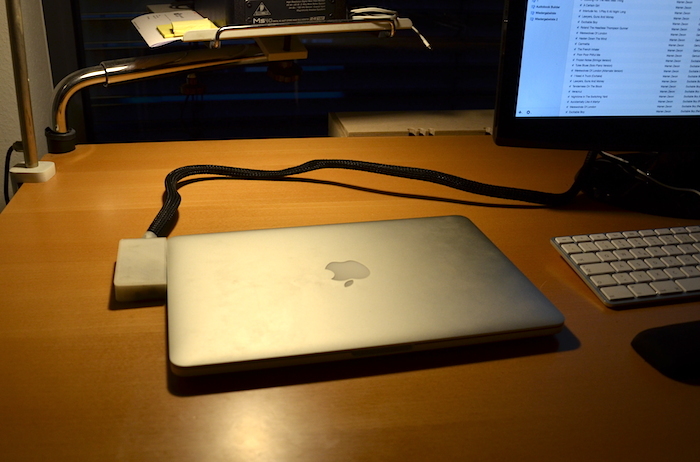 I know I was, which is why I decided to build the HackDock. 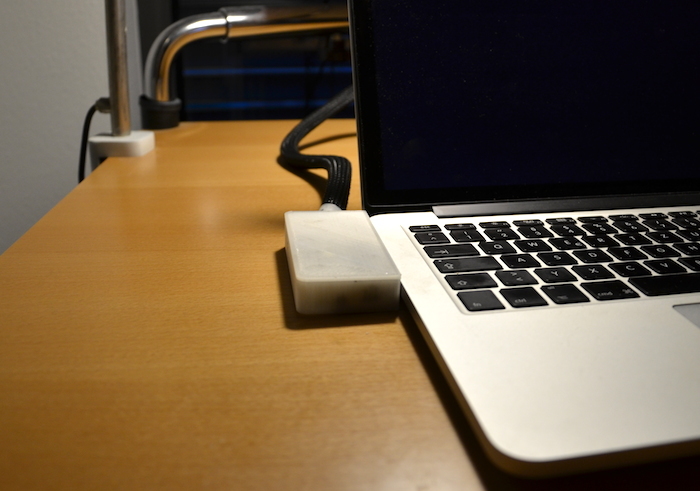 It is is a cheap, flexible, simple, yet still a bit hacky, 3d-printable docking solution for modern notebooks with a focus on MacBooks and Ultrabooks. 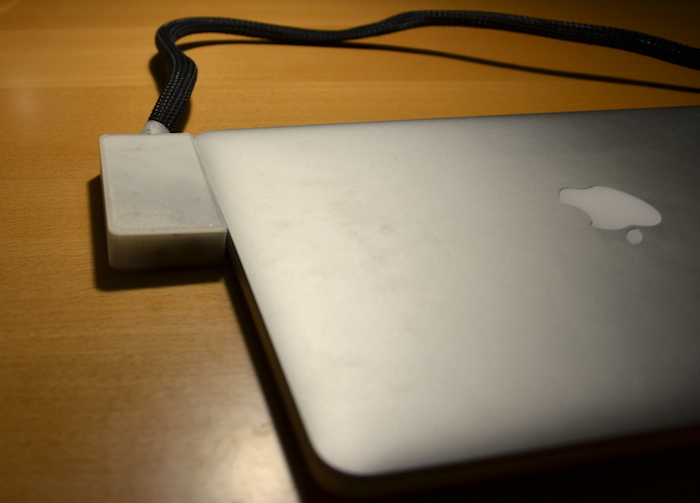 The HackDock is comprised of two parts: The first one is the Connector which consolidates all your formerly isolated plugs into one big one that you can plug into your notebook quickly, easily and cleanly, enlisting the help of DIY stuff of legends Sugru to do so. You can see it in the picture above. 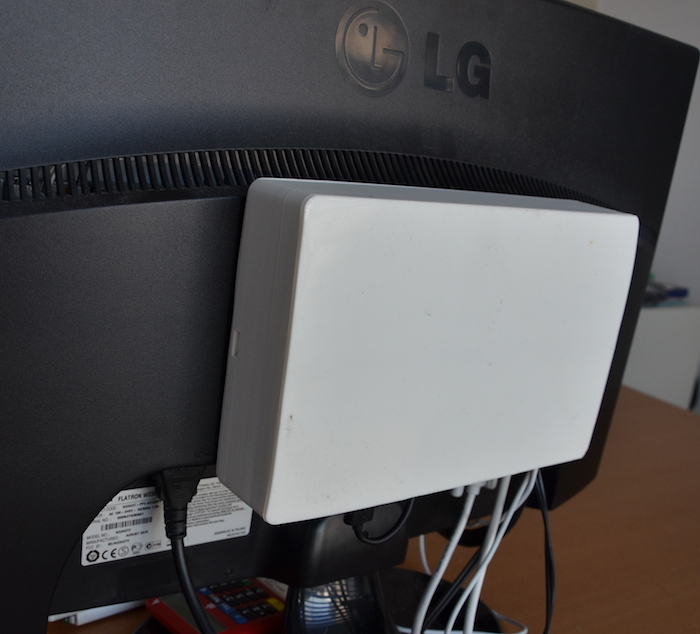 The second part of the HackDock is the base unit: A customizable box in which to neatly store all your periphery like USB hubs, display adaptors or even an external harddrive. On the picture above, the black textile tubing containing the cables from the connector runs towards the base unit which is mounted behind my external monitor. You can also mount it under your desk or wherever you like, thus keeping your desk organized and clean. Both components (the Connector and the Base Unit) consist of two parts (body and lid). 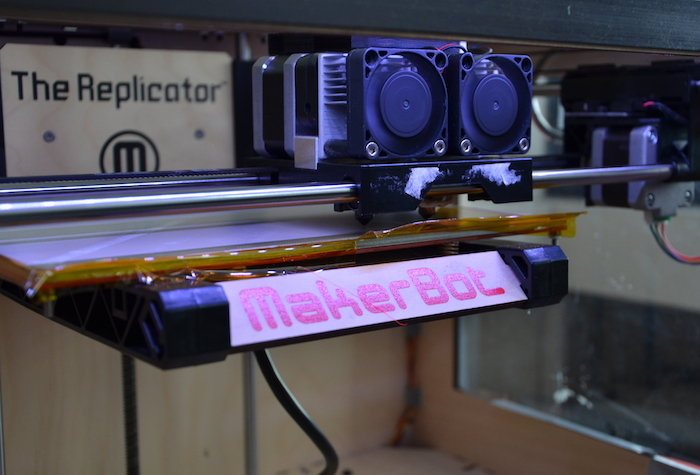 The HackDock files for your 3d printer are hosted on Thingiverse and can be customized by you through the amazing MakerBot Customizer web app so that you can create your very own HackDock to accomodate your specific needs.